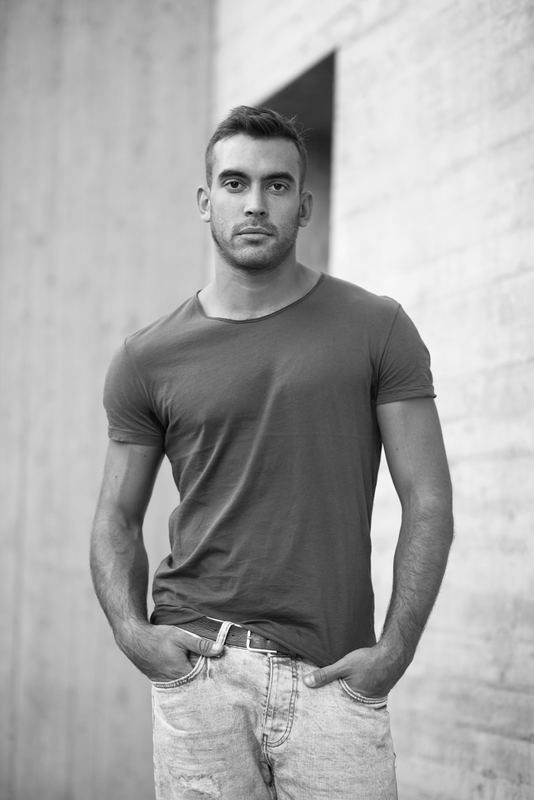 Iasonas Mandilas is an actor, a singer and a dancer who loves new adventures, to intertwine forms of art and to discover new ways of expression. We met with him a few days before his departure for Los Angeles and he talked to us about his late-found publicity and his future dreams. You are a singer, a dancer and a choreographer. Is this an experimental process in order to decide what to do or you enjoy doing all of these? Ideally, I should decide what I like most. I studied musical theatre, so I’m trained to do everything. I’m still young and I have the energy to do and develop all three arts. The only thing that scares me is the demise of quality in my work. If it happens, as I will not have the energy any more, I will definitely think about it. Until then, I will continue learning as I have a lot to give in all three fields. The public got to know you through a TV series. Did you like this or you preferred for the people to know you via a different medium? I’m proud I was a part of this TV series. I loved the part of “Kiriakos” and I tried to be good at it. I like TV and I’d love to continue working. I have no regrets for any work I’ve done so far and I’m proud for all of them as they gave me the chance to evolve. This year you participated in the ANT1 TV dancing show. How did you take advantage of this show? I’d never thought that So You Think You Can Dance could be useful for my professional development. I thought about the publicity that would come with it, but my main goal was to be around all these dancers and choreographers and learn from them. Opportunities like this don’t come often. My TV work so far, helped me to move on to bigger projects. In 2010 you earned a scholarship for the London Bird College, where you had the opportunity to work alongside some great choreographers and singers, such as Robbie Williams. What did you gain through this opportunity? This London experience made me stronger and taught me how to be a professional. Seeing the way a great artist works, like Robbie Williams, it really inspired me. There were moments I will never forget. What do you think of the Greek dancing industry? Are there any decent productions? And is it profitable? In my opinion, dancing in Greece is evolving at a very fast pace. Of course, based on my experience abroad, things are still left a little behind. There are great and responsible teachers, dancers and choreographers who try every day to develop the art. There are remarkable productions, low or high budget. I wish there were more producers eager to give a chance to the Greek dance scene. Dancers are not well-paid; I know this as I’ve worked as a dancer, as a singer and as an actor. The point is that there’s no one available to support dancers financially. When in Athens, where do like going? Which is your favourite nightclub? Lately, I don’t go out that much. If I do, it will be downtown. I like the rooftops in Monastiraki and Gazi. Some of the best places for drinks can be found in the streets of Psirri. You are in the U.S. at the moment. What do you hope to gain from this trip? I’ve set the bar very high. I’m quite competitive and I don’t let fear get me down. I would like to remain true to the champion in me and to my dreams.